There is no human behaviour without a cause. Or, as Wicklund (1990) put it from a Lewinian perspective, every human behaviour results from the “sum of the forces bearing on the individual“1. Cultural phenomena are effected by human interaction, so that for Eco (1972), culture as such basically consists of communication2. Things become more complex when we take inter‑, trans‑, or multicultural phenomena into consideration, because then, people of different cultural backgrounds interact with each other. During their socialisation, humans internalise behavioural patterns passed on within their culture. These patterns also include cognitive styles and ways to interpret perceptions. Research that tries to understand human behaviour is confronted with the problem that anthropogenic factors are confounded with culturally specific factors. Methodically, this problem can be overcome by a cross-cultural research design that allows for the comparison of different cultures. Effects, which can be found across all cultures examined, are likely to be typical for humans, regardless of their cultural background, whereas effects, which can be found in one or more, but not in all cultures examined, are certainly not caused by anthropogenic, but by culturally specific factors. However, there are two preconditions for the validity of such data: Firstly, the cultures investigated need to be really different and independent of each other; with globalisation proceeding, this becomes more and more difficult. Secondly, this kind of research has to be carried out in a minimally invasive way. It would not make sense to influence, what is supposed to be measured – culture. Since we cannot not behave, we have to avoid any destabilisation of the culture studied. From an ethical perspective, it is clear that the United Nations Declaration on the Rights of Indigenous Peoples has to be observed, especially Article 8, 2. (a), when it comes to field research. 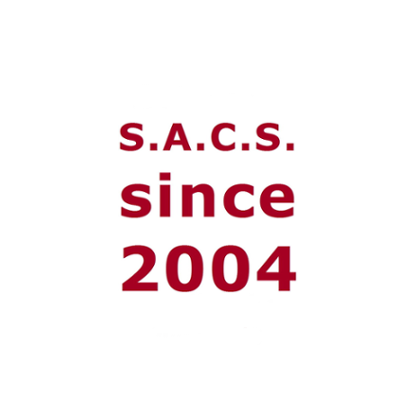 On that account, minimally invasive field research plays an important role within S.A.C.S. studies. But other culture-related phenomena are considered likewise, such as trauma therapy for Holocaust survivors and other victims of interethnic/intercultural conflicts, and also intracultural phenomena, like family psychology in multicultural settings, or perception and interpretation of advertisements, which determine behaviour and standards of the industrial culture to a large extent. 1 Wicklund, R. A. (1990). Zero-variable theories and the psychology of the explainer. New York: Springer, p. 123. 2 Eco, U. (1972). Einführung in die Semiotik. München: Wilhelm Fink. Research and academic exchange have so far been supported by various sponsors. The basis was laid with CULTOS, funded by the European Commission. The Alexander von Humboldt Foundation enabled cooperation and surveys in West Africa. The German Embassy in Cotonou and the GTZ provided logistic assistance in the field. The universities of Ibadan (Nigeria), Limpopo (South Africa), Münster (Germany) and the Jawaharlal Nehru University (New Delhi, India) funded accomodation and travel, just as FAPCI (Spain) did. The DAAD gave excursion and lecture tour support. The University of Minnesota provided material and evaluation backing. In Cameroon, research was supported by the University of Buea, exchange and project implementation were enabled by the Ministère de Tourisme (Kribi), by the Cameroon Travel Centre and by the State Secretary. In India, logistic aid was given by CARIKS (Centre for Advanced Research on Indigenous Knowledge Systems, Mysore). Cooperation was also supported by a number of further universities, such as Addis Ababa University and Hawassa University (both Ethiopia), University of Buea and Université Yaoundé I (both Cameroon), University of Mysore (India), Makerere University (Kampala, Uganda) and Universidade Católica Dom Bosco (Campo Grande, Brazil), to name but a few.